You don't always have to leave home to move toward your goals......sometimes you just need to bring the path toward achievement to you. 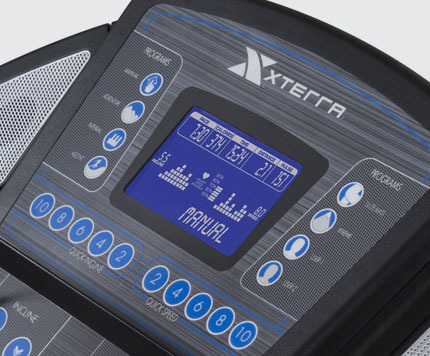 Introducing the Trail Racer 600 Folding Treadmill from XTERRA Fitness, bringing home everything you need to make your health and fitness aspirations a reality. With 5 pre-set, 2-user, and a manual training program, the TR600 provides the breadth of conditioning options necessary to burn fat, increase endurance, and improve your health in general. And on the large blue-backlit LCD display you can easily monitor your progress throughout each program including calories burned, time, distance, heart rate, and speed. 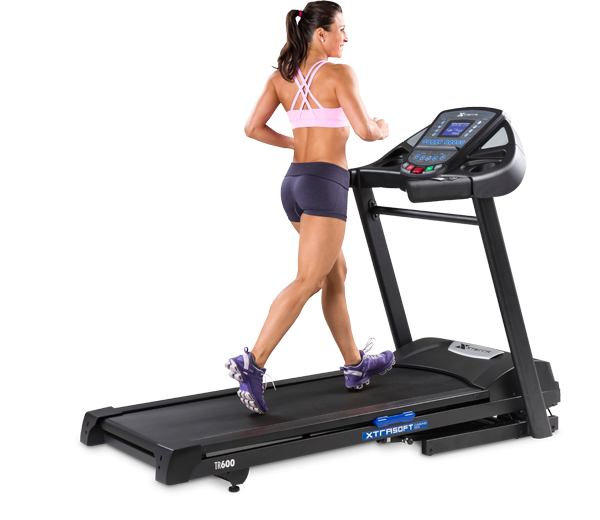 The Trail Racer 600 Folding Treadmill doesn't just make it easy to monitor your training progress – it also puts control over your fitness session into your hands. Thanks to handlebar mounted speed and incline controls, you can adjust the intensity of your workout at the flick of a button. And conveniently mounted handgrip pulse sensors make it safer and easier than ever to ensure that you stay within your target workout zone. Thanks to the Trail Racer 600 Folding Treadmill from XTERRA Fitness, you don't have to settle for anything less than the most comfortable workout possible from the most reliable name in the industry. XTERRA Fitness is committed to creating advanced training equipment that brings home a lifetime of health and fitness. That's why the TR600 features a powerful 2.75 CHP commercial grade motor along with a tough and durable steel frame, both of which are protected by a lifetime warranty backed by three years on the deck and one year on parts and in-home service. 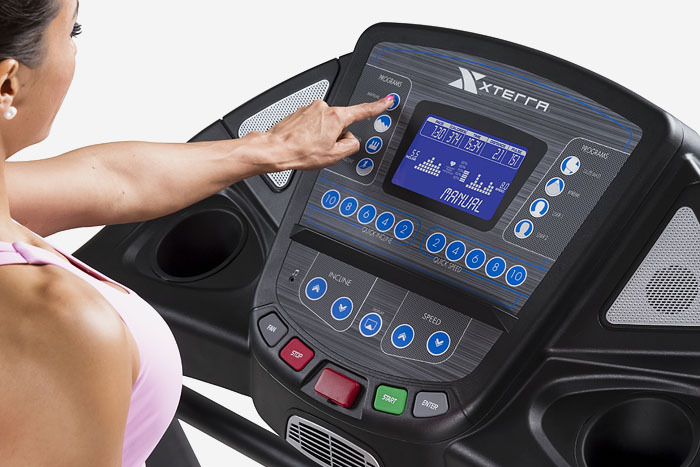 Our treadmill consoles have an easy-to-read, bright blue, backlit LCD display that keeps you constantly informed of your speed, pulse, distance, time and more. Our treadmills are easy to fold up and down for your workout. We use “counterbalanced” easy lift and “soft drop” fold-down technology in order to make your storage before and after working out stress-free. Taking a cue from high performance sports car design, our treadmills use a uniweld solid steel frame. This design requires fewer welds and creates a durable, long-lasting frame.